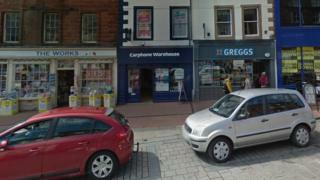 A Carphone Warehouse employee has admitted stealing almost £40,000 from the business. Jasper Pattison stole £39,793.19 from the branch in Penrith over the course of a year. The 26-year-old of Aldby Place, Cleator Moor, admitted theft when he appeared at Carlisle Crown Court. Judge James Adkin warned Pattison he could be jailed as he deferred sentencing for probation reports to be written. Pattison stole the money between 29 May 2016 and 27 May 2017. Judge Adkin told him: "You must understand that people who steal large sums of money from their employers can be sent to prison. There is a risk." Pattison has been granted bail ahead of sentencing later in the week.